The sight of an actor smoking a fancy cigar might fascinate many youngsters to light up one and imbibe the style of their favorite artist. And from just one, how it becomes an addiction, they themselves have no idea. It is not just about a cigar, it’s about many other forms wherein tobacco is used, and how people are giving in to this deadly addiction. Above and beyond the active smokers, the lives of many passive smokers go in vain due to no fault of theirs. Let’s understand a bit more about this serious cause of concern. Originated in America, Tobacco is actually a product of nicotiana plants. This recreational drug was introduced to Europe in 1559, and subsequently, its popularity grew by leaps and bounds to other parts of the world. Be it cigarettes, cigars, bidis, kreteks (cigarettes containing tobacco with herbs or spices), pipes, water pipes, snuff, snus (a moist version of snuff), creamy snuff, or gutkha (chewing tobacco), all these are made using tobacco and innumerable people around the world are addicted to its one or the other form. Why Tobacco Use is Dangerous? In the 20th century, medical research confirmed that tobacco use amplifies the chances of many illnesses including heart attacks, strokes, lung disease, Chronic Obstructive Pulmonary Disease (COPD), emphysema and many types of cancer. Tobacco use is the largest preventable cause of death and disease, across the world. According to WHO, more than 7 million people around the world lose their lives due to tobacco use every year, and the figure is expected to rise unless anti-tobacco actions are increased. How World No Tobacco Day Came into Existence? In view of its widespread usage and to make people aware about its deadly consequences, the WHO encouraged people to observe 24-hour abstinence from all forms of tobacco consumption throughout the world. 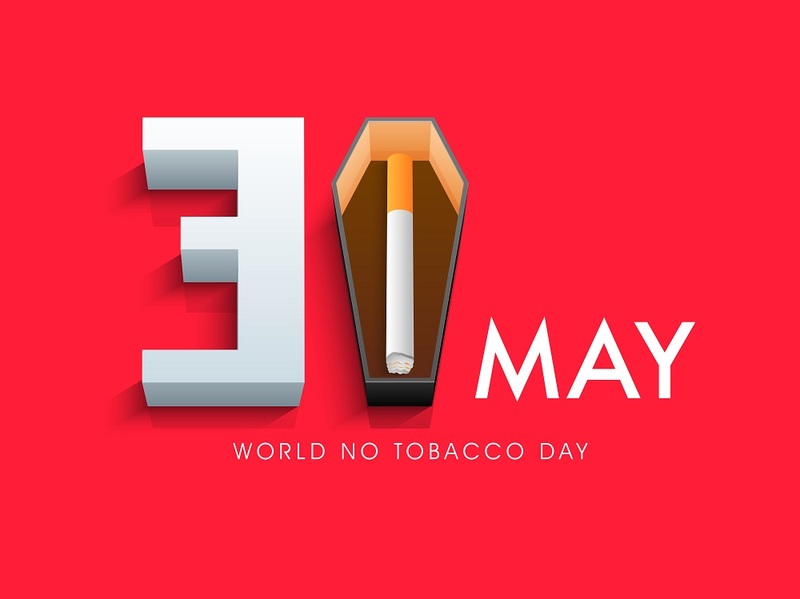 Initiated in the year 1989, World No Tobacco Day (WNTD) is observed on May 31 every year to highlight the health risks associated with tobacco use. The World Health Organization lends a helping hand to the governments worldwide to introduce measures for protecting people from the hazards of tobacco use. To join the movement started by the WHO, the World No Tobacco Day is observed by people, non-governmental organizations and governments, who work on programs and activities to draw attention to the health problems caused by tobacco use. These programs and activities generally include public marches and demonstrations, advertising campaigns and educational programs, meetings for anti-tobacco campaigners, creation of smoke-free public places, workplaces and public transportation, implementation of prominent and graphic health warnings on tobacco packaging, launching effective anti-tobacco mass media campaigns, enforcement of comprehensive bans on tobacco advertising, promotion, and sponsorship, increased taxes on tobacco products to make them less affordable, etc. Let the WHO, NGOs and governments do their work! Being a responsible human being, you must understand the ghastly outcome of giving in to this addiction. If you’re into any of the above-mentioned tobacco products, try to give up on its addiction slowly and steadily. You may require medical or professional assistance, but you can quit for sure. And if you’re not addicted to such things, it’s just great. So, spread that good vibe, be a harbinger of good health, and help people who are addicted to tobacco by guiding them and making them aware about its deadly results. Say no to tobacco and make this world a better place to live in!